Beth's Super Awesome Blog: Christmas House / Christmas Bark / Javier! Christmas House / Christmas Bark / Javier! 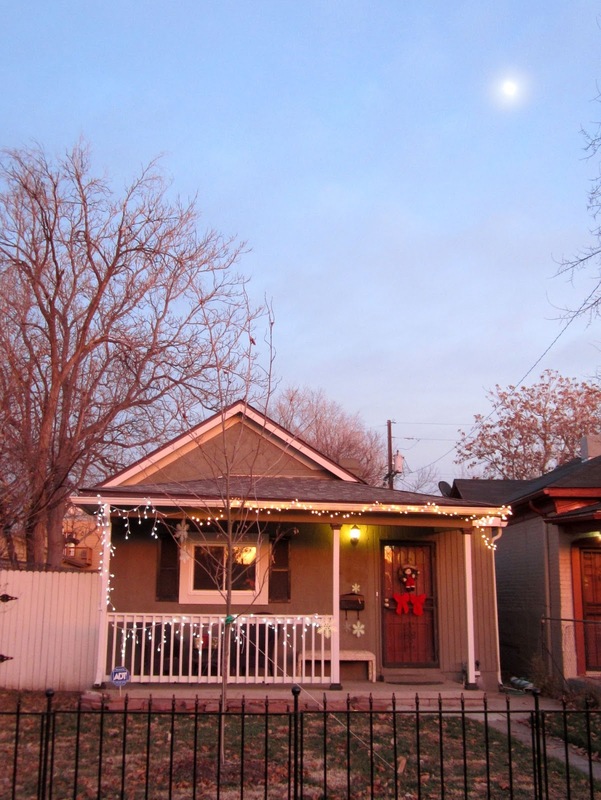 Just after Thanksgiving I decorated our house for the holidays! I've never actually had a "house" to decorate before (at least on the outside - I've always lived in apartments), so I was very excited to try outdoor decorating this year. I think it turned out super cute!! Earlier this week I was working on some yummy Christmas food / cookies, so I decided to make some Christmas Chocolate bark, as well as one of my favorite recipes from last year - Pine Nut Brittle with Rosemary & Sea Salt. Here are the recipes! In a small saucepan over very low heat, melt chocolate (stir with wooden spoon). Pour chocolate into a parchment paper lined 8x8 inch Pyrex baking dish. 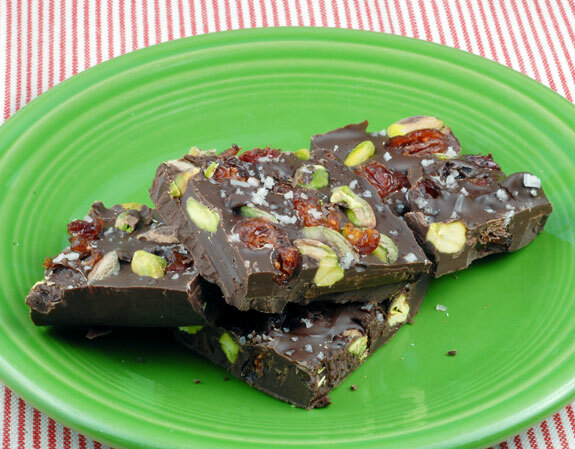 Sprinkle pistachios and cranberries over chocolate. Using a metal spatula, spread the mixture evenly back and forth to around ½ inch thickness. Allow to sit out until set, 1-2 hours. Cut into 16 squares and serve! Stir in half the pine nuts. Allow pine nuts to cook for about two minutes, stirring constantly. Stir in half of the rosemary and half of the sea salt. Turn the mixture out onto a sheet pan lined with parchment paper, and spread it evenly to the desired thickness with a wooden spoon or stiff rubber spatula. 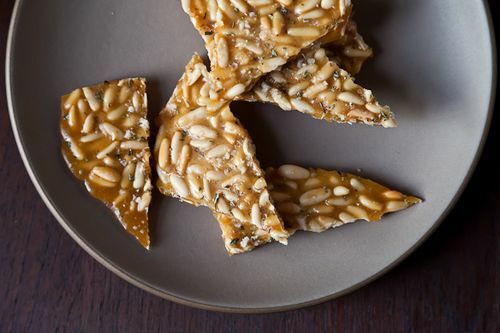 Sprinkle remaining rosemary, pine nuts, and salt on top, while brittle is still warm. Allow to cool completely--at least one hour--then break the brittle into pieces and store in an airtight container at room temperature. If your brittle isn't brittle enough to break into pieces, pop it in the freezer for 10 to 15 minutes, until it hardens enough to snap easily. Last night we had my work Christmas party too. 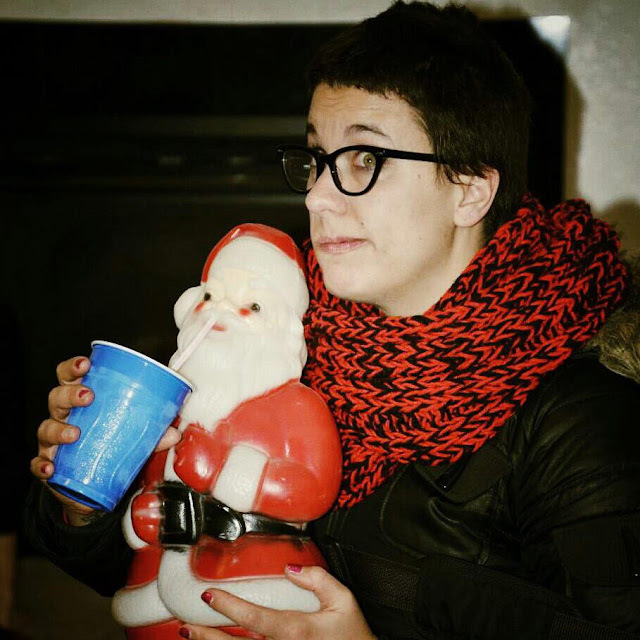 I got this lovely Santa during the White Elephant gift exchange! We named him Javier, but then decided he kind of looked Russian. So now his full name is Javier Svetlana-Claus. I carried him around with me all night! It was such a super fun Christmas party - I love everyone I work with so much! I haven't laughed that hard in a long time. LOVE THEM!! I hope you've been enjoying the holiday time as much as I have! Crazy time of year - again!